Born: 1895, St. Matthew’s, Ipswich. 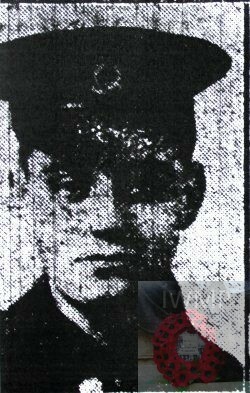 Died: 9th October 1917; age 22; KiA. Enlistment Details: Location: Ipswich; Date: 14th November 1911; Age: 17 years & 3 months. Height: 5ft 5ins. Served in the Dardanelles from the landing on the 25th April 1915, to the time of withdrawal. After serving nine months in Egypt he was sent to France. Rank: Lance Corporal; Service Number: 473019. Regiment: Royal Army Medical Corps, T.F., 88th Field Ambulance. Medals Awarded: Victory & British War & 1915 Star. Relatives Notified & Address: Son of Mr & Mrs Blomfield, of 278, Cavendish Street, Ipswich. 1901 5, Gordon Terrace, Cavendish Street, Ipswich. John William Blomfield, 29, an Iron Foundry Labourer, born Ipswich. Gertrude Mary Blomfield (nee Colins), 25, born Ipswich. May Gertrude Blomfield, 3, born Ipswich. Frank Wilfred Blomfield, 1, born Ipswich. 1911 278, Cavendish Street, Ipswich. Henry was 15 years old and living with his parents & siblings. John, 39, a Crane Driver – Foundry. Archibald Lawson Blomfield, 8, born Ipswich. Albert Edward Blomfield, 2, born Ipswich. Elsie Florence Blomfield, 1, born Ipswich. Soldiers’ Effects to Gertrude M. Blomfield – mother. Henry is also remembered on Holy Trinity church Memorial. The Royal Army Medical Corps (RAMC) is part of the British Army providing medical services to all British Army personnel and their families in war and in peace. Together with the Royal Army Veterinary Corps, the Royal Army Dental Corps and Queen Alexandra’s Royal Army Nursing Corps, the RAMC forms the British Army’s essential Army Medical Services. In combat the men followed the troops over the top into no man’s land suffering losses of 743 officers and 6130 soldiers killed, while delivering medical care to wounded exposed to enemy fire.